Performing at some of the greatest places on earth - from State Fairs to National Exhibitions. Performer that stops traffic and has people bringing friends to enjoy the interactive show repeatedly. The performance is self-contained. Media loves hilarious demonstrations. Witness mind control and never-ending laughter. Howie Mandel Show, First Appearance - Hoo Kee Lau, Hawaii. 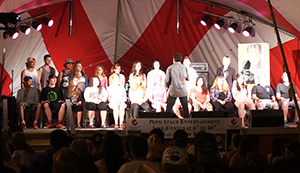 Hypnotist Incredible Boris appears at fairs across Canada and USA. He draws record crowds to his award-winning show. The performance has universal appeal and is the topic of conversation long after it is over. 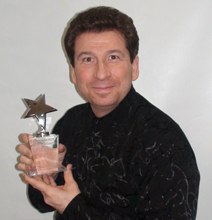 Boris is available to perform several shows daily and provides competitive pricing for multiple shows. His show delights audiences with music, fast pace and never-ending laughter. Multitude of promotional materials to make the event a smashing success. High definition pictures are available to be downloaded directly from this web site along with biography and posters. Boris' television credits and excellent show ensure a sell-out crowd and repeat clientele. Boris is readily available for media interviews and makes a fascinating subject of conversation. He is also available for meet and greets. The shows has wow factor and lasting impact. Typical fair show runs 45 to 90 minutes. Content and length can be easily customized to the venue. Technical requirements are simple - a sound system, chairs and staging with a staircase from the audience. Multiple shows in a day are a regular occurrence and encouraged.Talent buyers are regularly re-booking this hilarious entertainer yearly. The performance is very funny. Participants become stars of the event. Boris creates fans that return to see the show repeatedly. Each show is unique and remembered fondly for a very long time. Boris creates fans, repeat customers and loyal followers. He delivers perfection on stage and during the booking process. Talent buyers rave about every aspect of his show. A simple production that requires minimal staff and delivers maximum impact for a lifetime of memories. Boris makes the unexpected look naturally funny. He directs the events, keeping the show moving. Latest music complements the performance. Participants and audience members interact with hysterical results. Witness a performance by a master showman who captivates audiences from the moment he steps on stage. Always personable, approachable and friendly to staff and audience members. He can be family friendly and broad with physical comedy, or use more adult themes and be more intellectual and emotional: Boris is hilarious either way. I would certainly recommend Boris for his unique blend of humor and positive attitude. His show has a universal appeal. Choosing a hypnotist for your fair, look no further. The C.L.E would highly recommend Boris to anyone in need of entertainment. Boris presents an extremely class act, highly professional, Boris really livened up our show and was the highlight of our evening performances. A crowd pleaser for both young and old. Hypnotist show at Toronto CNE includes a marriage proposal! Darren Chow, 33, wanted it to be really special when he proposed to Christine Kou. So he enlisted the help of a hypnotist performing at the CNE.